Add Brights Hardware to your favourites! Save with your Brights family! Catalogue Builders Express In-store Expires today! Catalogue Builders Warehouse In-store Expires today! Brights is home to a variety of DIY products, building material and all hardware essentials for every revamp and redecorating project. See the Brights catalogue for specials. Brights supplies an assortment of quality and affordable materials and equipment tailored to all your building and renovation projects. Brights paints come in a variety of colours, mediums and brands and are suited for indoor and outdoor painting needs. Brights is no stranger when it comes to sourcing items for all your plumbing DIY essentials from fittings and tools to bathroom supplies and accessories, you'll find it all at a Brights hardware near you. Brights specialises in a variety of trusted brands like WACO, DURAM, Bosch and Alcolin to name a few. See the Brights catalogue for money saving deals. There are several Brights hardware stores located throughout the Western Cape province, South Africa, with some of the major branches including Brights Bellville, Brights hardware Plattekloof, Brights Hardware Langebaan, Brights Montigue Gardens as well as Brights home and hardware Cape Town to name a few. Brights was established by Mr and mrs Luis as a general dealer, electrical contractor as well as repairs. 1983 Marked a turning point for the store when the general retailer division was sold and the building department expanded seeing great growth in 1994. Brights Hardware is a leading hardware supplies store and has branches throughout Western Cape, South Africa, and maintains its vision of constantly providing customers with service excellence and affordable prices on quality products. The company celebrated its 45th birthday in 2016 which marks yet another successful milestone. 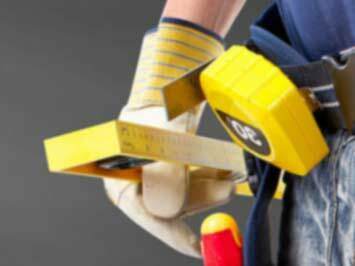 Brights South Africa has all you need for all your building renovation materials and tools at affordable prices. Brights features trusted brands such as Dulux, Bosch, Shield, Duolite, Black & Decker, Pharox, WACO, Stanley and Alcolin just to name a few. At Brights shoppers will find an assortment of supplies and materials that are not only of great quality but also available at affordable prices. Customers can enjoy the Brights online shopping store for all your renovation requirements and have the items delivered to you whilst skipping the traffic and effort taken to visit a physical brick and mortar store. The website offers customers the liberty to view in-store prices on items which needless to say will give you a better idea of what your budget may need to be. You can also apply for the Brights discount card to benefit from even more discounts as the card is a way of rewarding customers for their loyalty. View the Brights catalogue for more money saving deals. Do you want to receive more Brights Hardware deals by email?